Rochester, New York - A mid 1800's Canadian schooner, Queen of the Lakes, has been discovered in deep water off the southern shore of Lake Ontario near Sodus Point, New York. Shipwreck enthusiasts Jim Kennard, Dan Scoville, and Roland Stevens confirmed their discovery last week while recording video images of the ship with the use of an underwater remote operated vehicle. The 53 year old schooner, Queen of the Lakes, was enroute to Kingston, Ontario with 480 tons of coal when she sprang a massive leak during a late November gale and was sent to the bottom of Lake Ontario. The schooner had departed Charlotte (Rochester, NY) in the early evening of November 28, 1906 with a crew of six men on board. When the schooner was east of Sodus Point and about ten miles from shore, one of the crew discovered that the ship was taking on water. The leak was very serious and the bilge pumps could not expel the incoming flow of water fast enough. Captain Daryaw turned the Queen of the Lakes about and headed for Sodus Point, the nearest port, in order to save the ship and its crew. The schooner was sinking rapidly however and it was determined that they would not make it to shore in time. The ship’s yawl was made ready and the crew and captain left the sinking ship. When they were less than 50 feet away from the schooner the Queen of the Lakes disappeared into the deep depths of Lake Ontario. It was midnight when the crew abandoned the sinking ship. The sea was rolling high and the men found it difficult to keep the small boat from overturning. The cold winds were very strong and the temperature continued to drop at a rapid rate. The crew battled the seas and the late November gale for many hours on Lake Ontario. After rowing nearly 15 miles they landed in the area of Chimney Bluffs and then were later transported to Lake Bluff and then on to Sodus Point. The Queen of the Lakes, originally named the Robert Taylor, was built in the Portsmouth, Ontario shipyard in 1853. The ship registration records show that sometime prior to 1864 the ship was given its new name. Initially, the Queen of the Lakes was a 2-masted schooner with a length of nearly 129 feet and a beam of 23 feet. In 1884 she came ashore and was damaged near Avon Point in Lake Erie. Then in 1886 she incurred major damage after being wrecked near Brighton, Ontario. 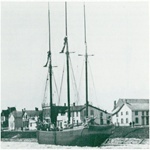 The Queen of the Lakes was rebuilt and a third mast added by Richardson & Sons of Kingston, Canada in 1887. Unfortunately the owners did not have any insurance on the vessel so it was a total loss for them when it sank in1906. 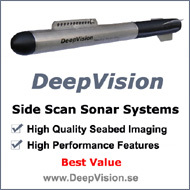 While conducting a search for shipwrecks in Lake Ontario in August, 2009, the stunning image of a three-masted schooner appeared on the screen of the DeepVision side scan sonar system employed by the team. The ship was found in deep water beyond the reasonable depths for SCUBA divers. 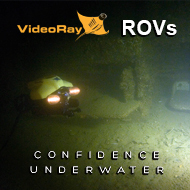 A remote operated vehicle (ROV) was needed to explore the shipwreck. At the time of the discovery the ROV that the team had utilized in the past belonging to Dan Scoville was located in Houston, Texas. Dan had moved there from Rochester, NY to work for Oceaneering International. The team was hopeful that Dan would return during the 2010 season with the ROV to obtain video of the shipwreck. The BP oil leak changed the 2010 shipwrecksearch plans. Dan was one of the lead project engineers working over 80 hours a week for 4 months to build the tools BP needed to fix the oil leak in the Gulf of Mexico. The team could only wait and imagine what this schooner looked like. At long last, the underwater remote operated vehicle was deployed during a calm day at the end of the 1st week in July 2011. The initial images were that of the stern and the large rudder of the Queen of the Lakes. Moving upward and on to the deck one of the first things that came into view was the ship’s wheel. On either side of the stern the davits that had held the yawl extend out and away from the ship. Behind the wheel lay the remains of the ship’s cabin. The roof has fallen into the area where the cabin once stood. Pieces of the roof lay all over the enclosed area making it difficult to see the contents of the cabin. A round cylindrical shaped object covered with zebra mussels can be seen extending out from the roof debris. Maybe this object is a toilet, crock, or stove. The water clarity was good allowing about 75 feet of visibility which provided a view of two of the standing masts with just barely a glimpse of the third (forward) mast. On the deck there are bundles of what look like rope but most likely are cables that were attached to the masts since ropes to secure the masts were replaced by cables in the late 1800’s. There are several holds along the deck where the cargo of coal would have been loaded. Now these holds are filled up to the deck with layers of silt. Up at the bow the anchors of the schooner are still firmly secured in place. During her career of over a half century, the Queen of the Lakes would have been one of the larger schooners on Lake Ontario. The shipwreck survey in Lake Ontario was funded by a grant from the Great Lakes Historical Society of Vermillion, Ohio. There are estimated to have been well over 8000 shipwrecks in the Great Lakes. Many of these ships were wrecked in a harbor or driven on shore where they were pounded to pieces. There are probably about 200 actual shipwrecks that currently rest on the bottom of Lake Ontario. There have only been a few notable shipwreck discoveries off the southern shore of the lake as the depths often exceed several hundred feet just a few miles from the southern shoreline. Shipwrecks that are located in these depths are beyond the range of recreational divers and require costly search and support equipment to find them. 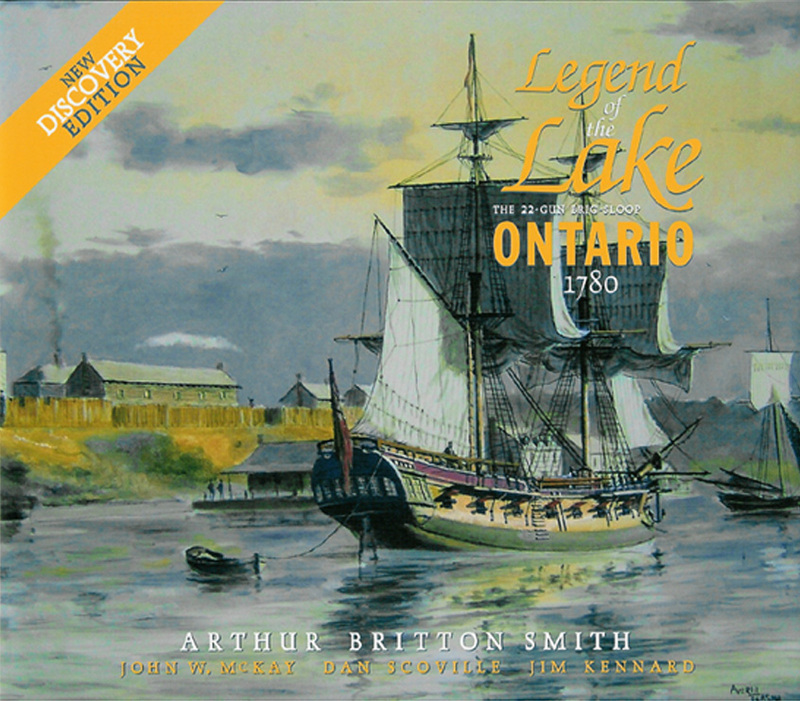 The schooner Queen of the Lakes is one of the older commercial vessels to have been found off the southern shore of Lake Ontario that has not been salvaged or wrecked near shore. Jim Kennard has been diving and exploring the lakes in the northeast since 1970. He has found over 200 shipwrecks in the Great Lakes, Lake Champlain, NY Finger Lakes and in the Mississippi and Ohio Rivers over the past 35 years. Using his background as an electrical engineer, he built the side scan sonar system that located many of these shipwrecks in the past. In 1983 he discovered a unique horse powered ferryboat in Lake Champlain. National Geographic featured the ferryboat in their October 1989 issue. Several other of his shipwreck discoveries have been reported in various publications including Skin Diver, Wreck Diver, Inland Seas, and Sea Technology. Dan Scoville is an experienced cave and technical diver. He utilizes custom gas mixtures of oxygen, helium, and nitrogen to dive to depths of over 300 feet. In 2005, Dan led the development of an Underwater Remote Operated Vehicle with a team of college seniors from the Rochester Institute of Technology. He is currently a project manager and electrical engineer for Oceaneering International and was one of the team that built the tools that fixed the oil leak in the Gulf of Mexico for British Petroleum. Roland ‘Chip’ Stevens is a retired architect and working artist whose watercolors are well known in the Rochester area, many of which have been accepted into national exhibitions. A sailor for many years, Stevens has a love of the sea, as reflected in his seascapes. A number of his paintings of shipwrecks discovered by the team have appeared in various news stories and publications. In May 2008 the team discovered the British warship HMS Ontario the oldest shipwreck ever found in the Great Lakes, and in late September 2008 they also discovered a rare 200 year old rare 200 year old "dagger-board" schooner, both of which received worldwide attention in the news.